Enjoy crystal clear vision across all distances when you wear Bausch & Lomb Ultra for Presbyopia (3 Pack). A highly effective solution to the issue of presbyopia, the 3-Zone Progressive design of these multifocal contact lenses helps to achieve smooth and seamless transitioning as your eyes view objects at different distances. As a result, you can be sure of clear picture whether you’re looking at something up close, across the room or far away. 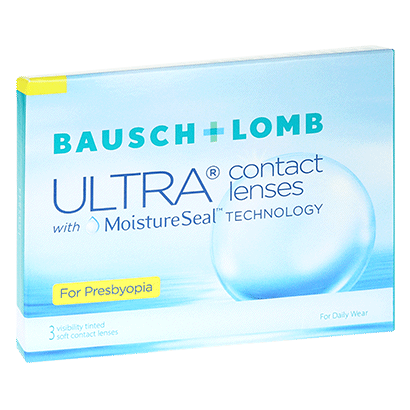 At the same time, Bausch & Lomb Ultra for Presbyopia contacts ensure a comfortable wear all day long. The lenses have been designed with MoistureSeal Technology to retain as much as 95% of their moisture for up to 16 hours. This makes them the ideal choice for anyone working in an air conditioned/heated environment or who spends large portions of the day using digital devices. 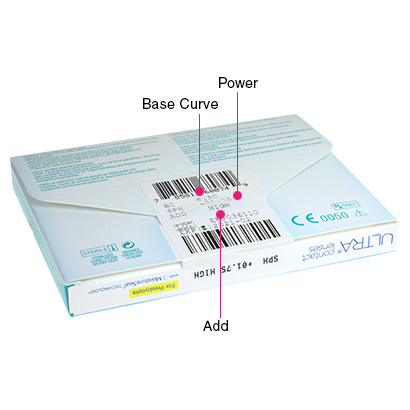 Bausch & Lomb Ultra for Presbyopia (3 Pack) eliminate the need for reading glasses, offering a highly convenient option for presbyopic correction. However, as monthly contact lenses, designed for daily wear, you’ll need to maintain the hygiene and quality of your lenses. This can be easily achieved through a contact lens cleaning routine. We recommend comfi All-in-One Solution, as this multi-purpose solution works to clean, disinfect, rinse and store your lenses. We also offer a 6 pack of these quality multifocals, available at the guaranteed cheapest UK price.